Uncle Tatty Remembers : Marc Bolan - 70 Years On. Marc Bolan - 70 Years On. It takes some believing that on Saturday 30th September 2017, Glam Rock legend Marc Bolan would have been celebrating his 70th birthday. Born Mark Feld in the East London suburb of Stoke Newington, on 30th September 1947, he received his first guitar at the age of 9 and soon set up a skiffle group. 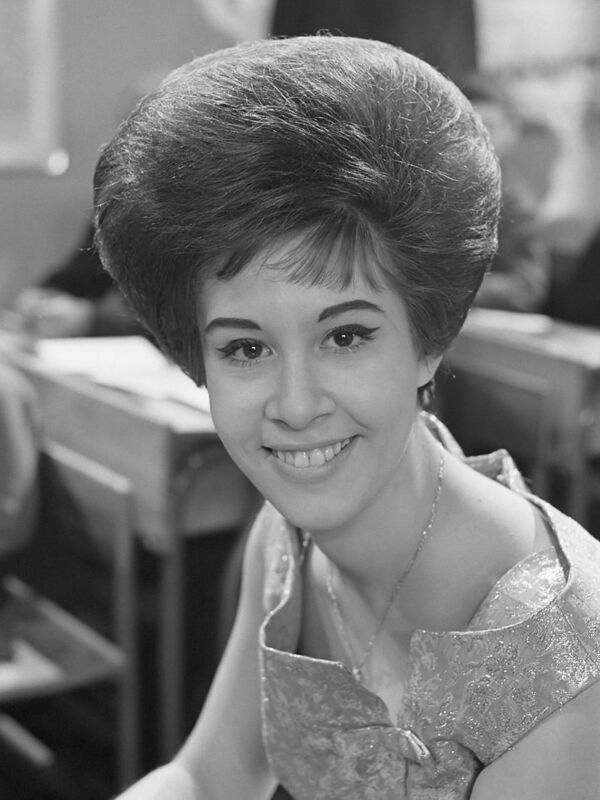 Whilst still at school, he became the guitarist with a band called “Susie and the Hula Hoops” alongside none other than a 12-year-old (at the time) Helen Shapiro, later to become a solo chart star in her own right. Known at the time for playing guitar sets for his friends' enjoyment during lunch breaks, he was eventually expelled from school at the age of 15 for bad behaviour. After moving to Wimbledon in south-west London, he became entranced with rock and roll, especially the music of Eddie Cochrane, Gene Vincent and Chuck Berry. However, his own music career seemed to take its time to really take off. 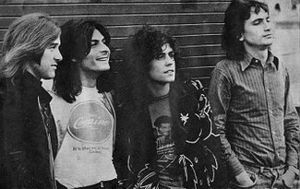 Helped along the way by his friend David Bowie and with a couple of failed band projects behind him, in the late 60s Bolan’s folk/rock duo set up with Steven Took, Tyrannosaurus Rex began to get noticed, helped along by radio support and promotion from legendary British radio DJ John Peel. A year later Took was replaced by Micky Finn and the band name was shortened to T Rex. Ride a White Swan, dominated by Bolan’s amazing electric guitar work, was released, peaking at No.2 on the UK chart. Fuelled with mythological references, Bolan claimed it was written after he was tripping on acid at a Rolling Stone magazine launch. Mark Bolan became an instant star and very soon Hot Love was released, going one better than its predecessor, spending 6 weeks at the peak of the charts. Glam Rock was well and truly born. With other UK chart toppers such as Get It On, Telegram Sam and Metal Guru, Mark Bolan then left the UK, both for tax reasons and to ‘try and crack America’. But whilst away from the UK, the big hits at home started to slow down. However, he never really made it big ‘across the pond’. 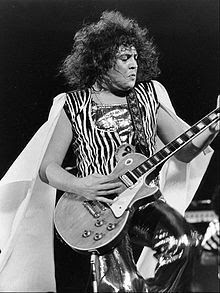 From a country which never particularly shared the love of either glitter or Glam Rock, Bolan returned to these shores. After a large, blockbusting national tour, he fronted a 6-part TV show for Granada TV entitled Marc, where he introduced music from both new and established artists, along with performing some of his own material. He died instantly in a car accident at Barnes, south-west London, 2 weeks short of his 30th birthday in September 1977. Like John Lennon, Marvin Gaye and others who left us before their time, any thoughts of whatever would have become of Mark Bolan, the music he may have subsequently produced and the way his career could have progressed are obviously all total conjecture. The fact is that throughout the early and mid-1970s, in the UK and beyond, Marc Bolan became the ‘biggest’ pop/rock star of them all, and with his long trademark flowing locks, the most recognisable. He boasted a universal following made up of fans of all ages. To many music fans, even 40 years after his death, he is still sorely missed. Happy 70th birthday Marc, wherever you may be!